Made from European full grain cowhide nubuck leather, this case is the perfect accessory for everyday life. It has a premium feel and design that focuses on functionality to keep you stylish and organised. 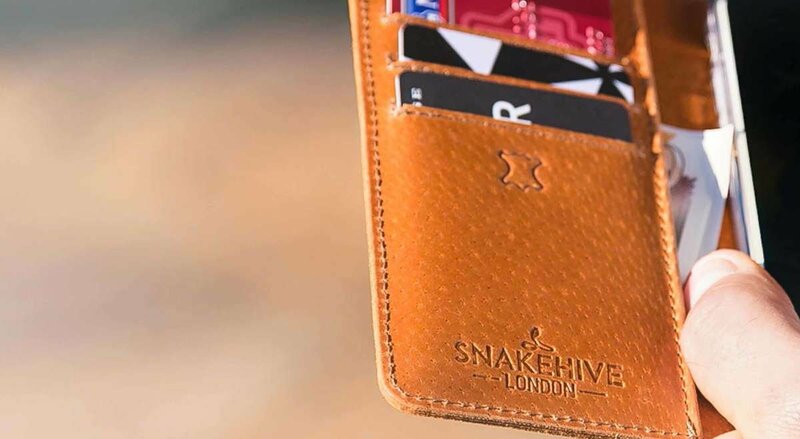 Crafted from carefully selected full grain cowhide nubuck leather from Europe, this handmade wallet case has been designed by Snakehive to provide a stylish cover for your phone. The wallet case has three useful credit card slots on the inside as well as a larger compartment for notes, which makes the case a very functional and practical accompaniment for your phone. The inner of the case is made from a smooth soft leather to protect your phone from scratches and has been neatly embossed with the Snakehive logo. Inside there is a coated plastic holder to secure your phone safely. 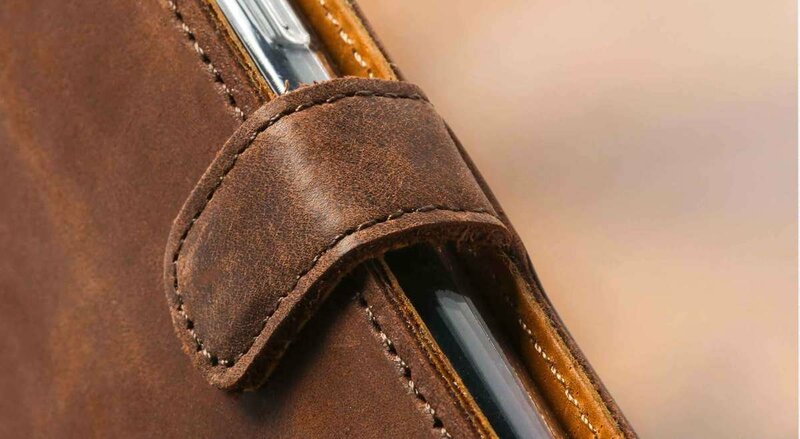 Each wallet case is unique - the appearance of the case can vary as leather is a natural product, and so there might be slight differences in the colour and finish compared to the photographs. The case has a natural matt nubuck finish and so will naturally show marks - this to be expected and will add to the character. After a time the case will develop a beautiful rich patina - this is all part of the natural character of the leather. to create a beautiful patina feel to your case. Snakehive's phone cases are more than an asset to ones everyday life. These beautifully crafted cases are extremely practical and easy to use. with 3 card slots and a larger compartment for notes. "Snakehive's phone cases are more than an asset to ones everyday life. These beautifully crafted cases are extremely practical and easy to use." Every one of our leather cases is hand stitched to a high level of attention to detail and features the unique Snakehive design with 3 card slots and a larger compartment for notes.